A few weeks ago, I was lucky enough to attend the 2016 Coastal Living Showhouse. 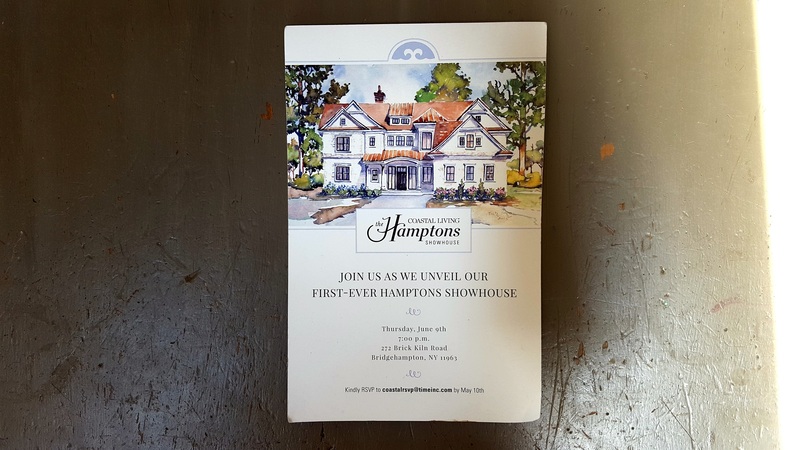 This is the first time Coastal Living did a showhouse in the Hamptons and I was very excited to be invited to the “unveiling” party. I cannot tell you how cheerful this house feels from the minute you walk through the doors! I’m sure if you search the internet you will find many photos of this home, for which the entire interior was designed by the very talented Meg Braff of Meg Braff Designs. In this blog post, I’m sharing just a few of the photos of the common areas where I was able to get a good shot. One of the many nice things about showhouses is that they not only inspire and typically ticket sales benefit a charitable organization, but they also provide their resources. This showhouse benefits Conscience Point Shellfish Hatchery which is a non profit dedicated to sustainable aquaculture and ecological stewardship of Southampton town water. You may be inspired to donate. You may also be inspired to redecorate. Below are some of the resources used in creating the master piece that is the 2016 Coastal Living Hamptons Showhouse.